Fruit Trees: Which Varieties Grow Well in Illinois? 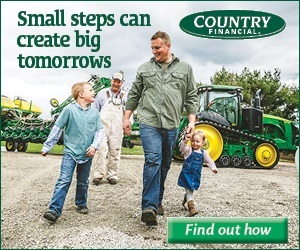 Illinois Farm Bureau Partners is a magazine for Illinois Farm Bureau members. On this website, you'll find Illinois events, attractions and other travel ideas; farmer profiles, agritourism destinations and gardening tips; recipes, local restaurants and more. Brought to you by Illinois Farm Bureau® in conjunction with Farm Flavor Media/Journal Communications Inc. ©2018 All rights reserved. No portion of this website may be reproduced in whole or in part without written consent. 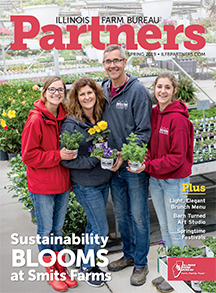 Illinois Farm Bureau Partners magazine connects you, our members, with the food you eat, the Illinois farmers who grow it, and the food-related events, destinations, and lifestyles that make our state great. Read the latest issue.